Downstairs Den with Pull-Out Queen Bed & T.V. 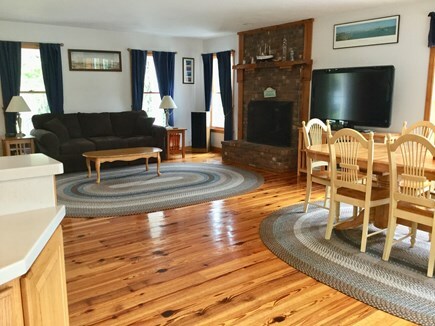 Here's your chance to experience Chatham in our extremely spacious home, located at the end of a private way (Lantern Lane) just 7/10ths of a mile from Cockle Cove Beach. 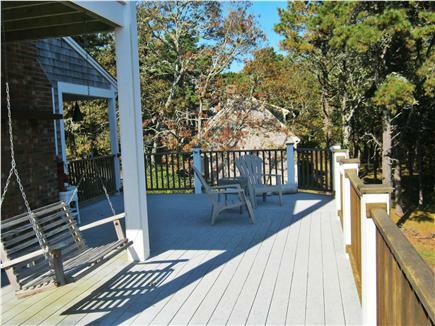 Enjoy your morning coffee and newspaper on the covered front porch or on one of the many spacious decks, while enjoying the serenity of the surrounding conservation areas. This fantastic home has central air conditioning and sleeps 10 people. 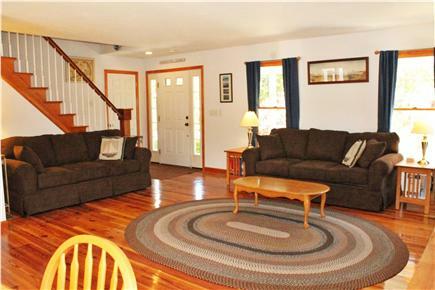 Our home was custom-built in 2004 and has four bedrooms upstairs and an additional room downstairs with a pull-out couch. 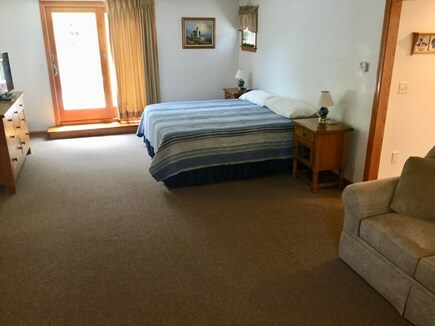 Upstairs bedrooms are carpeted and consist of a master suite (with a separate deck area) with a king bed and full bath; walk past the bathroom to find a long hallway with a bedroom (over the garage) with a set of twin beds. 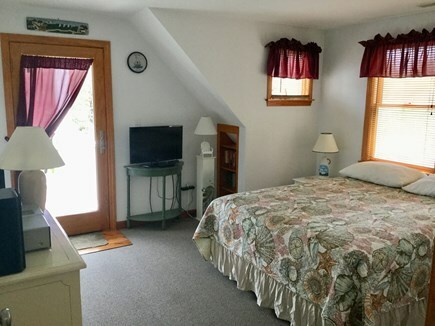 Upstairs you will also find another full bath (with a washer and dryer), a bedroom with a queen bed (and another separate deck area) and a bedroom with a set of twin beds. 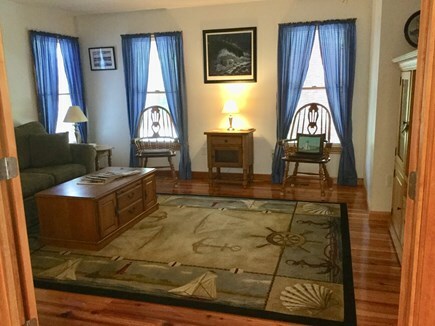 With a total of 4 bedrooms, 2 1/2 bathrooms and a pull out queen size couch downstairs in the den, this home is the perfect choice for two families, or one large family. 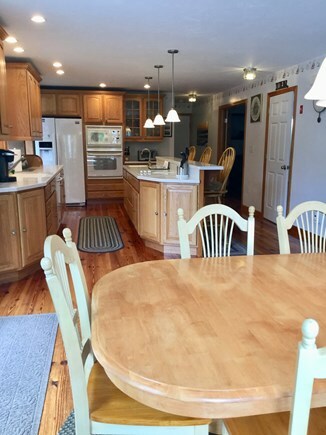 The downstairs area is extremely open with gleaming long leaf yellow pine flooring throughout and includes living, dining, kitchen, den, a sunroom, and 1/2 bath. Step out through the sliding glass doors (from either the sunroom or kitchen/dining area) onto the expansive wrap-around deck and enjoy the surrounding conservation areas. Also included is an oversized (attached) two-car garage. 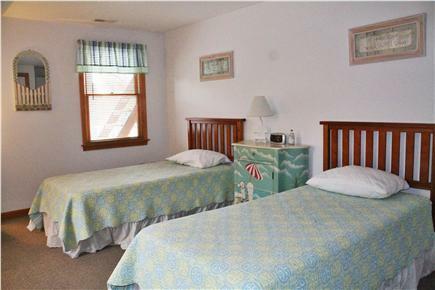 Amenities include: Central Air Conditioning, Wireless High-Speed Internet, Weber Gas Grill, Washer & Dryer, Dishwasher, Microwave, Keurig and regular Coffeemakers, Cable TV, DVD Player, VCR, Outdoor Shower, Multiple Private Decks, Linens and Towels, Beach Chairs, and Beach Toys are included. Also, solar panels were installed on the roof in 2014. 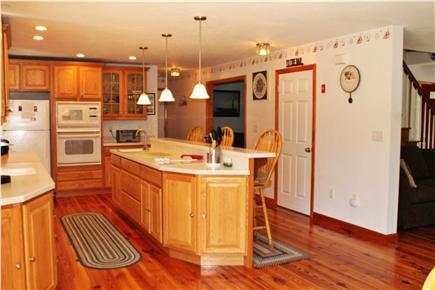 Lovely home with all the necessary amenities for an awesome vacation! 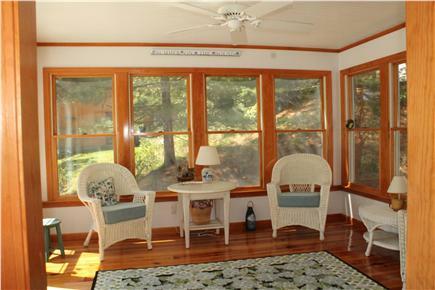 The wrap around back deck was perfect to sit back and relax while listening to nature. The morning dove calls added to the ambiance. Many hummingbirds came to visit each day. Being at the end of the road made for a very quiet space. It was a very hot summer so having air conditioning was very helpful. The beach is just a stone's throw away! We will return to this home! Our vacation was perfect! 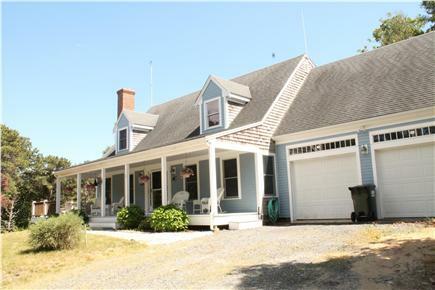 Great vacation rental property in Chatham! 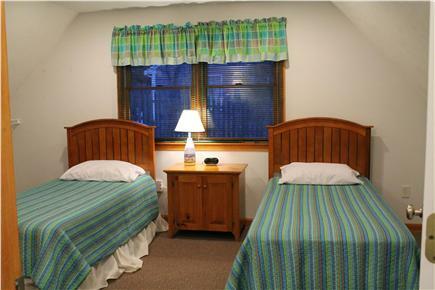 The house is very cozy and clean (really clean), beautifully decorated. Everything you need is provided for. 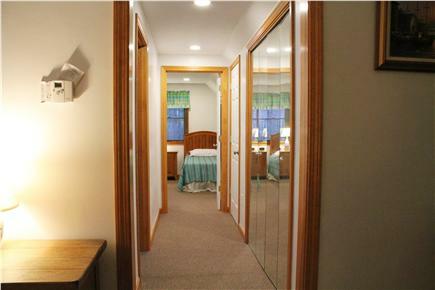 It has everything - updated appliances and bedrooms and flat TVs practically in every room! 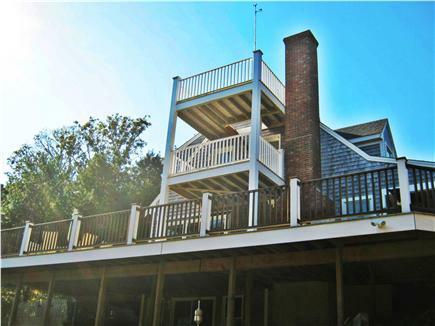 Clean gas grill and a very spacious wraparound deck! Perfect location close to beaches, shopping and restaurants. A very tranquil and secluded place. The owners were very responsive and informative with my questions. Will definitely return next year.